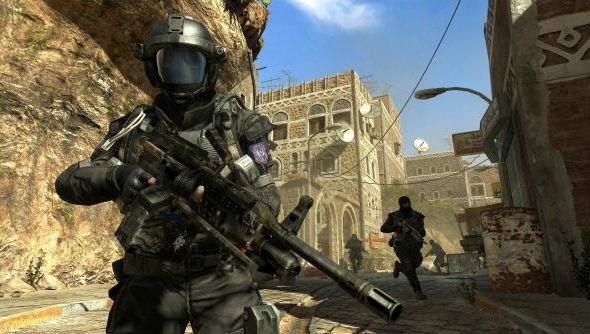 Modern Warfare 3 has had a packed run of DLC since its release, due to be rounded off by The Chaos Pack and Final Assault in the next month or so. But expect to see Activision take a different tack for Black Ops 2 – sales for Call of Duty DLC are slowing down, and the publisher thinks changing fan behaviour is to blame. “We’ve had introduced a lot of changes in behaviour for our fans,” said CEO of Activision Publishing Eric Hirshberg. “One consequence is the fact that a la carte DLC sales have not performed as well as in years past. “Our overarching goal is to provide all of our players with the best possible community platform. With that goal in mind, we’re always evaluating ways to improve and optimise the service to create the best experience for our fans and the best return on our investment. I can’t help but feel that Activision have tied their hands fairly tightly with the release of Elite and its promise of 20 new pieces of content over MW3’s “season”. Whatever changes they’re looking to make in the kind of DLC Call of Duty gets, they’re going to have to stick to a similar format.